I’m not a part of the Church of Jesus Christ of Latter Day Saints. I do not think the Book of Mormon has any historical basis, apart from the fact that it was penned by a certain individual in the 19th century, and has had significant impact on a very large number of apparently industrious people. Still, I wonder how long it will be before it will be OK to tacitly, and directly, attack Mitt Romney on his faith. Citing the author, as a recent New York Times piece indicated, “What we were really looking at is the biographical influence of faith on Mitt Romney’s life,” Kantor explained. Really. Really, I doubt it. I think what’s actually going on is a growing attempt in the liberal media (NYT/NPR/MSNBC) to link Mitt Romney with something outlandish, thereby tainting him in the process. When I come across an article, in the New York Times, on our current President’s faith and spiritual conviction, or lack thereof, then my suspicions will be allayed. Yes, I’m speaking about the “biographical influence” of faith on Mr. Obama’s life (with or without reference to Rev. Jeremiah Wright), in the New York Times. As I’ve said, I’m not a Mormon, and wouldn’t choose to be. But I thought we were about not electing Presidents based on race or religion. 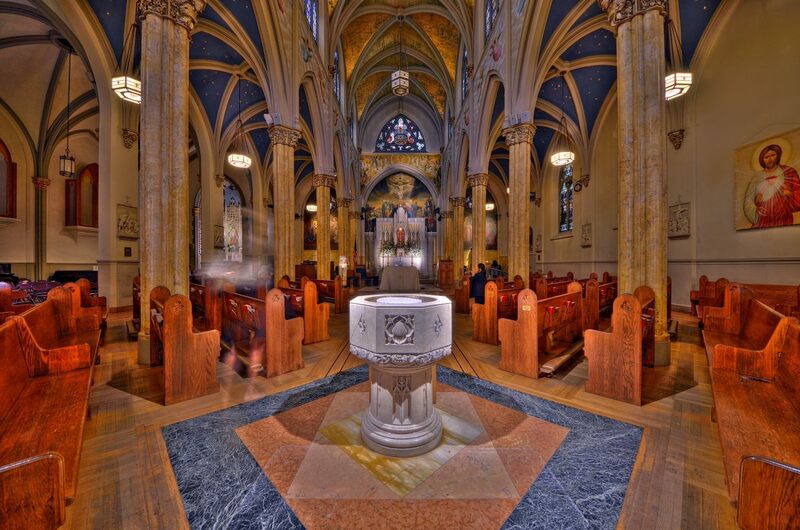 I was photographing St. Malachy’s in NYC, on occasion seeing visitors come in, pray, and then leave to continue their day. Inside, I wondered what each soul might be carrying within, that needed airing in that sacred space, at that appointed time. Perhaps it was a loved one taken ill. A child out of control. A job teetering on the brink. Maybe thanksgiving for an unexpected blessing was the motivation. Regardless, the human approach to the Divine is a wonderful and holy thing. It can be done anywhere. Like, where you are right now. No need is too small, and no burden is too great. Sometimes, just in the sharing itself, there is healing. You are currently browsing the BillKeane Perceptions blog archives for May, 2012.